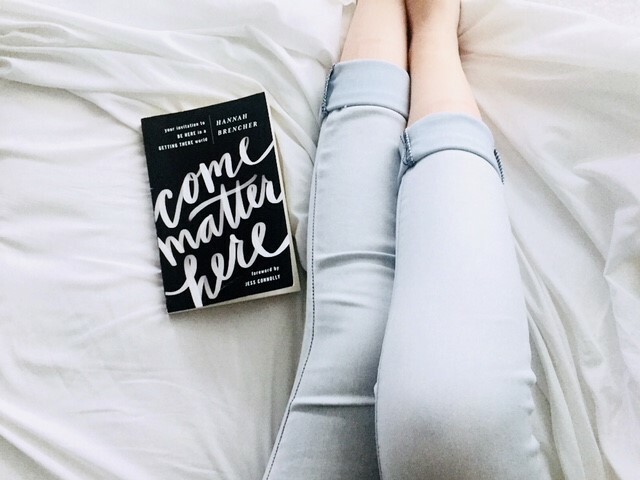 Alright friends, I’m letting you know in advance, if you ask me for a book recommendation for 20-somethings it’s going to be this one right here: Come Matter Here by Hannah Brencher. The Foreword of the book mentions that you will need at least 3 pens for this book and I 100% agree. I have underlined the majority of this gem. But a little later in the book my jaw actually dropped because it was like reading about myself on the page. These two quotes absolutely stunned me. I kept thinking HOW DOES SHE KNOW?! How does she know what this feels like?! Has she had secret access to my mind at some point?! From the whisper roaring, “I don’t want to rebuild” to burning eggs in the kitchen, this was so spot on. I have done those things. I have. I have been walking around over the past few months chanting in my heart: I don’t want to rebuild. I don’t want to rebuild. Interested in buying this book? You can get free shipping at Book Depository here! I have been standing in the kitchen by myself and accidentally burning the eggs, only to see myself standing there with a frying pan of burnt eggs wondering: Is this really what it’s going to be like? I started laughing out loud when I read this. Not that chuckle/sigh thing that last a half second. Actually laughing out loud. In that nervous yet relieved laugh that sounds a lot like hope. But what’s even greater is the author also shares how she kept putting one foot in front of the next, even (especially) when it got really dark and really hard. I honestly want to quote this entire book for you so that you can hear all of her stories and all of her wisdom and lessons she learned, but I won’t because you really just need to go buy it and read it for yourself. It’s about “being where your feet are” and realizing that all your problems will not disappear if you pack up a car and change your location, because everything you don’t want to face gets in the car too. 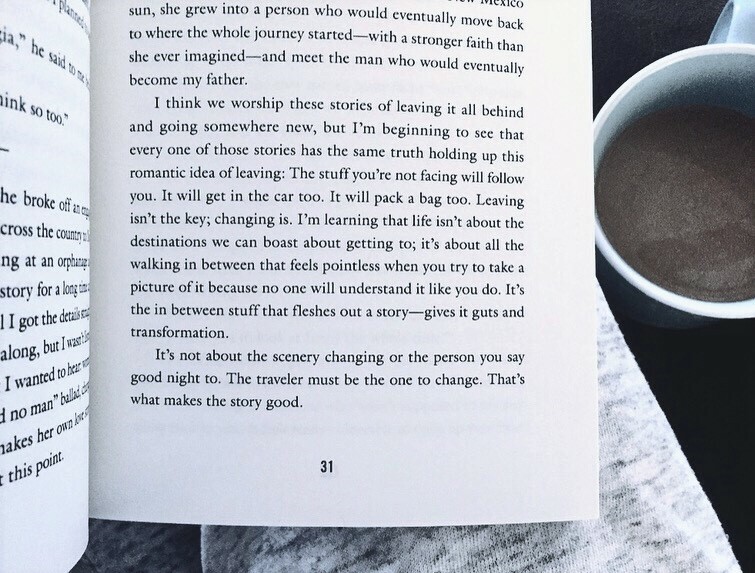 It’s about the traveler changing. It’s about being deliberate rather than impressive. 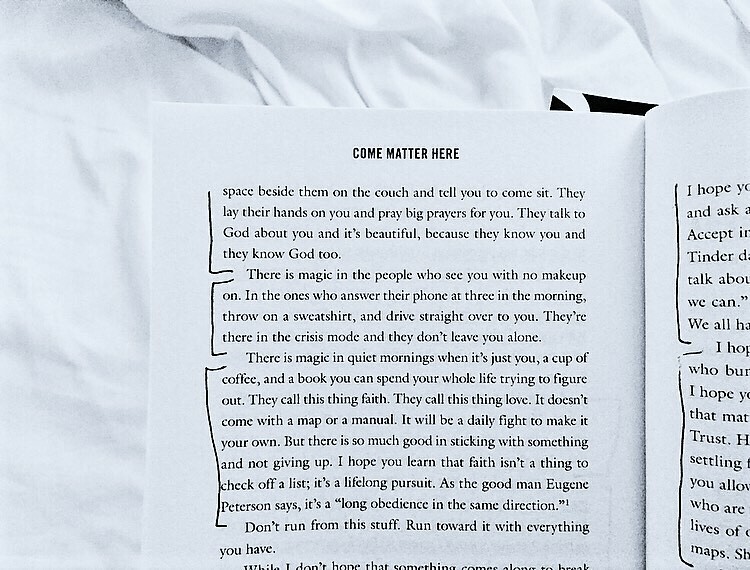 It’s about staying in love with people, jobs, and cities even when they begin to look pretty ordinary. 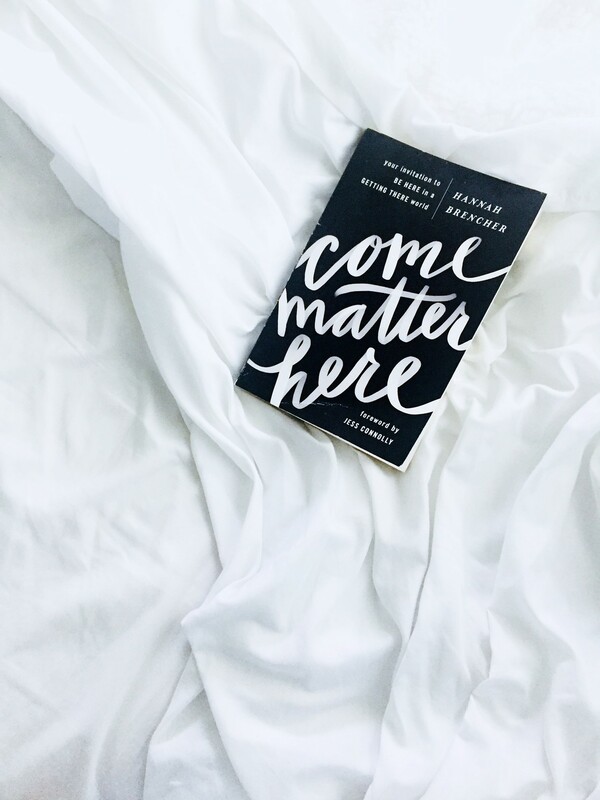 It’s about being a living, breathing invitation for people to Come Matter Here. It’s real + challenging + so so needed. I want to mail a copy to everyone I know. 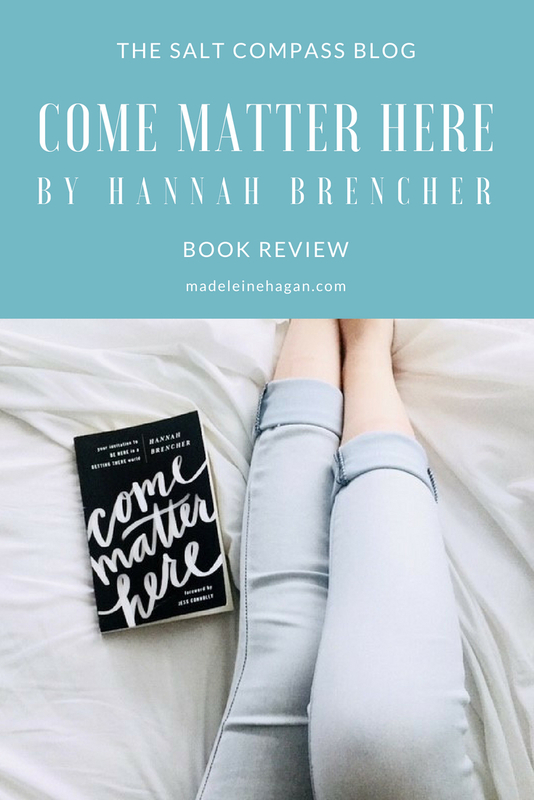 You can learn more about the author over at www.hannahbrenchercreative.com and you can also check out www.moreloveletters.com. If you end up reading this, let me know what you think!